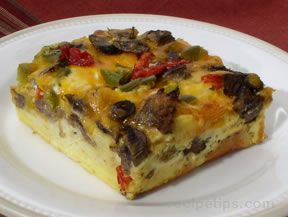 Use this Basic Omelet Recipe to add a variety of ingredients, including cheese, meat, peppers, onions, tomatoes, mushrooms, and black beans. Visit our site for more Breakfast Egg Recipes. 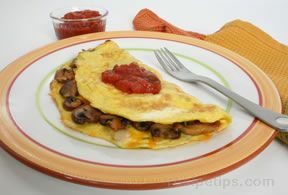 All you need for this Cheese and Vegetable Omelet recipe are eggs, cheese, and mushrooms to make a simple but heavenly breakfast omelet recipe. Visit our site for more breakfast recipes. 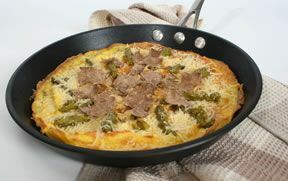 This flat omelet or frittata is filled with cheese, vegetables and fresh herbs of your choosing and sliced for serving. 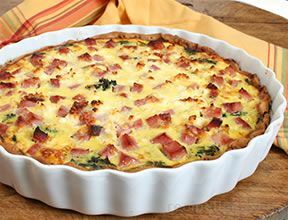 This ham quiche is a quick-and-easy one-dish meal that can be served for a casual family brunch, but it's fancy enough to serve to special guests. 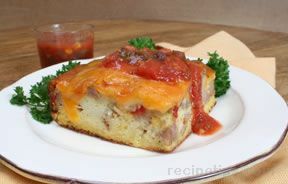 This hearty Strata and Italian Sausage recipe can be prepared ahead of time to make for a quick breakfast dish when serving. For more egg recipes and other breakfast recipe visit RecipeTips.com. A light tasting egg and potato bake for breakfast or brunch with a flavor seasoned to any intensity. 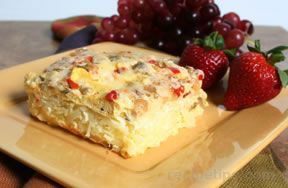 Overnight Egg Bake has a great combination of flavors with eggs, sausage, cheese, and peppers. 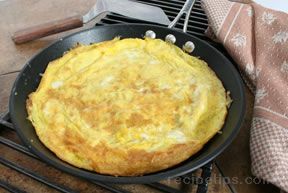 Visit our site for more egg recipes and learn how to prepare egg using different cooking methods. Huevos Rancheros Egg Bake is filled with savory ingredients and seasoned to just the right intensity. 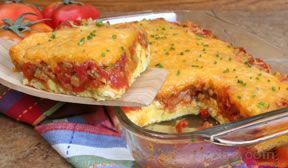 We have more egg bake recipes and Mexican-Style recipes for you to try on RecipeTips,com. 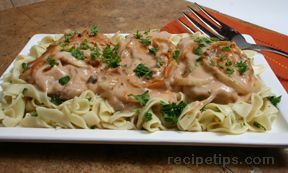 An enjoyable brunch or light dinner entrÃƒÆ’Â©e that also serves as a great recipe for using up leftovers. 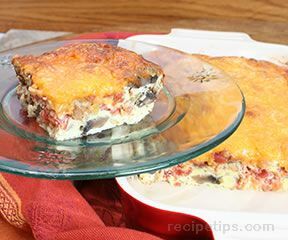 This Easy Frittata recipe contains eggs, bacon, cheese, and mushrooms to get your day off to a great start! Search our site for more breakfast recipes and for tips and advice on cooking. 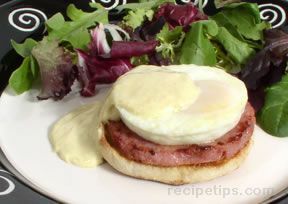 Try this Eggs Benedict recipe with a rich sauce that provides much to make any mildly flavorful egg and ham a delicious combination. Visit our site for more breakfast recipes and leftover ham recipes. Prepare ahead and allow the flavors to mix for a delicious addition to a breakfast, a brunch or a coffee and cake snack. 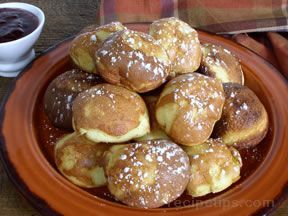 Small in size, this rich Scandinavian pancake can be filled with apple sauce or other fruit fillings. 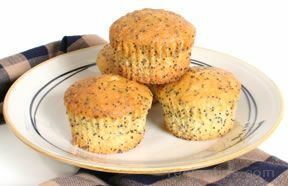 Quick Lemon Poppy Seed Muffins are delicious and easy to prepare muffins for any occasion. 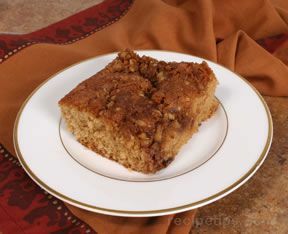 See more Mother's Day recipes, muffin recipes, and dessert recipes on RecipeTips.com. 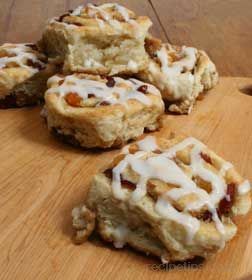 Use your favorite dried fruit to fill these Fruit Filled Cinnamon Rolls. 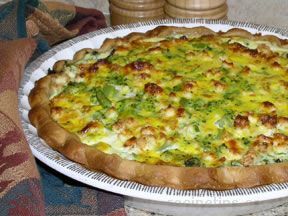 Search our site for more breakfast recipe ideas for Mother's Day, Easter, or any special occasion. 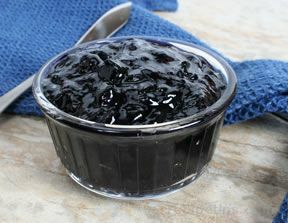 Homemade huckleberry jam recipe that can be canned or used fresh.